1.For order of diaΦ50mm, stroke 150mm. double acting, rod end internal thread compact cylinder. 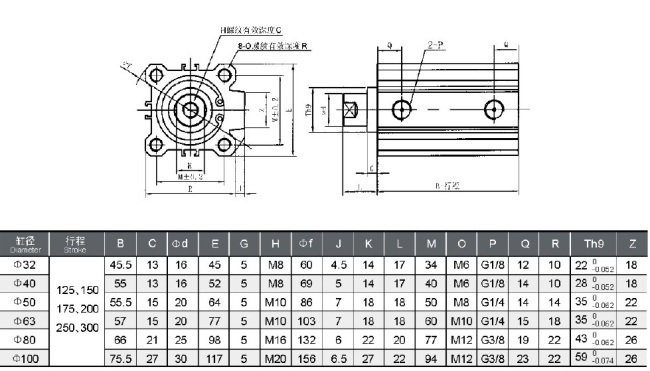 2.For order of diaΦ63mm, stroke 300mm. double acting with magnet, both ends tapped type. 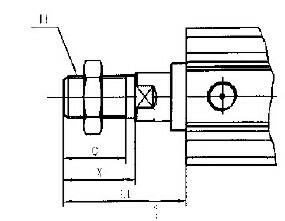 Rod end external thread. Track mounting type magnet switch AL-72R.